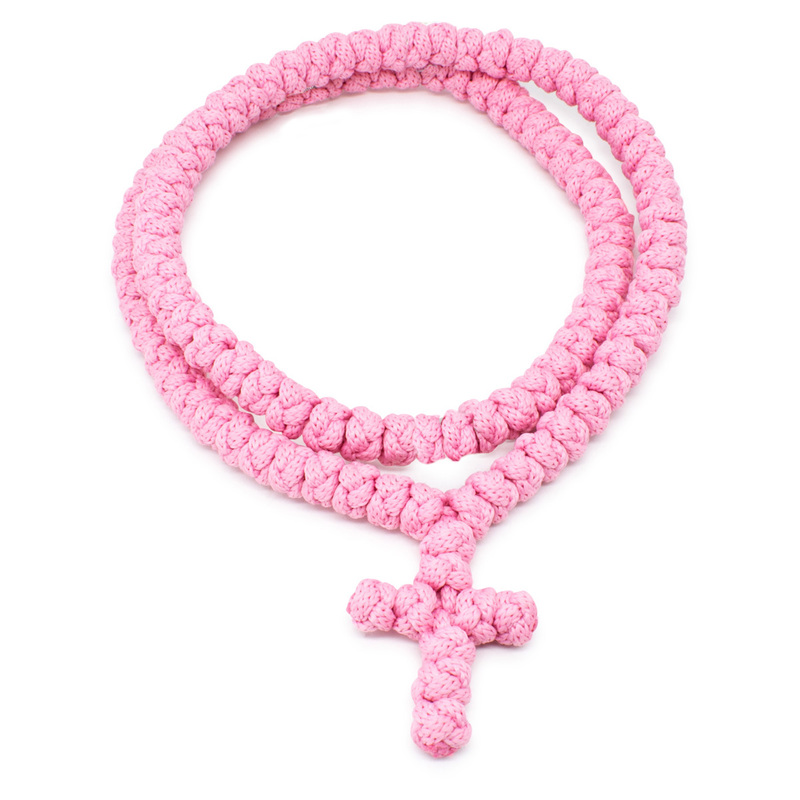 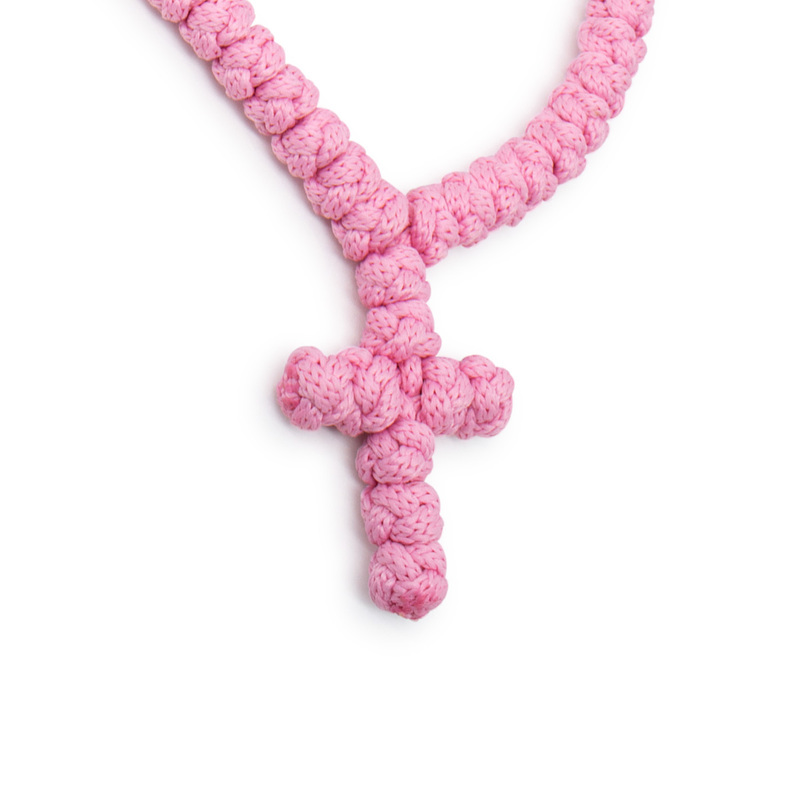 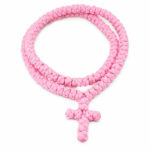 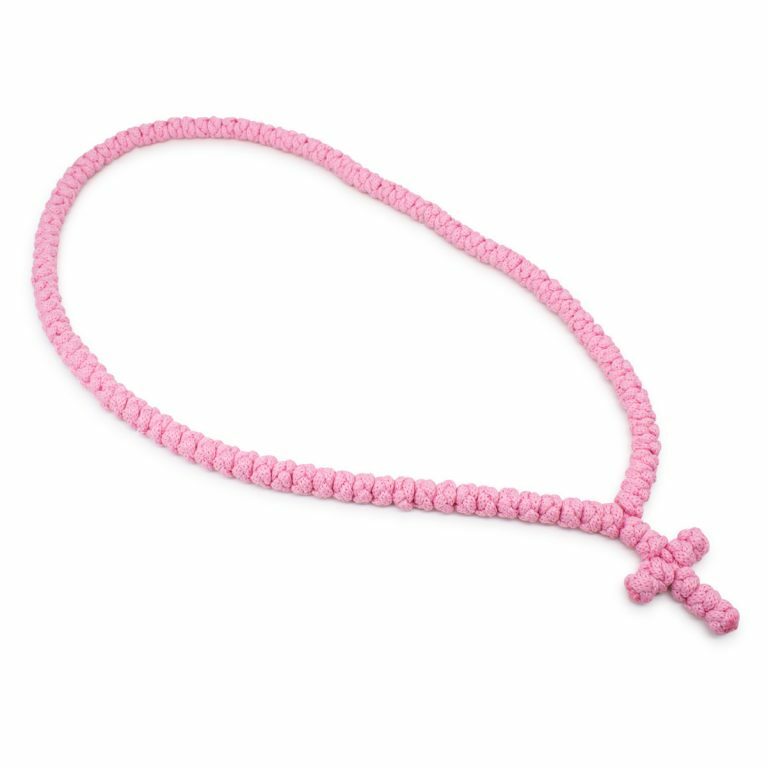 Check out this lovely rose prayer necklace consisting of 100 knots and a woven cross. 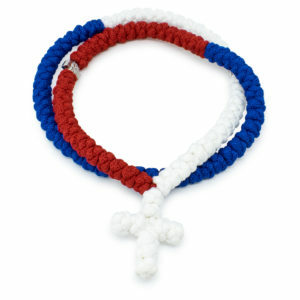 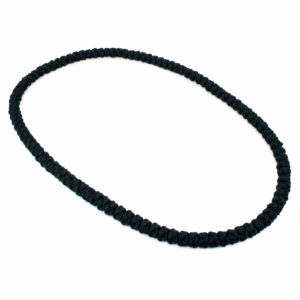 Like our other necklaces this bracelet is handwoven. 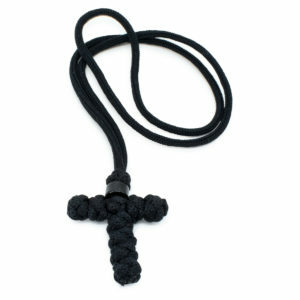 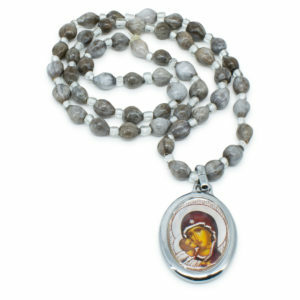 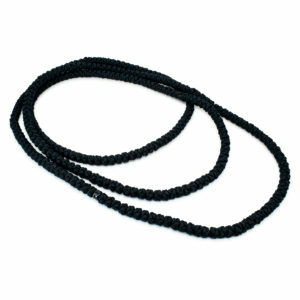 These necklaces are also often called knotted rosaries.